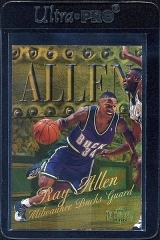 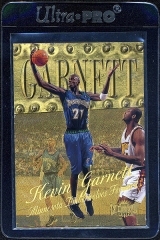 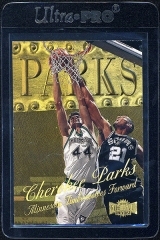 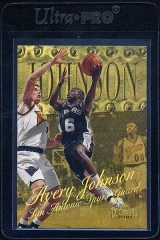 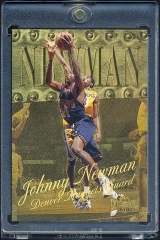 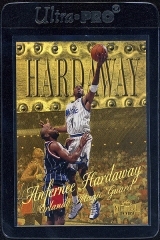 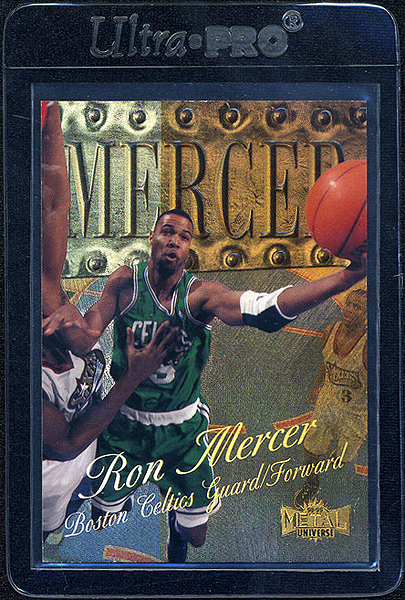 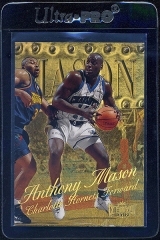 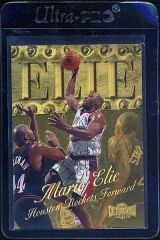 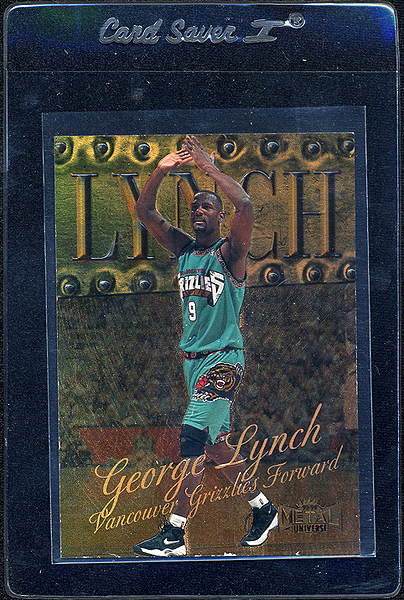 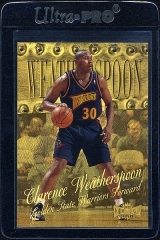 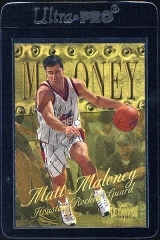 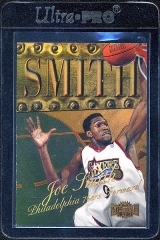 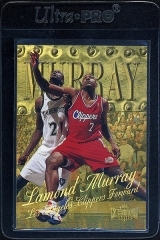 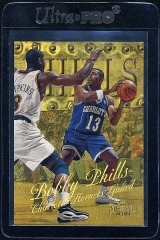 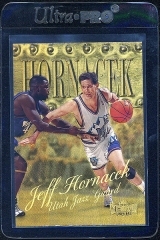 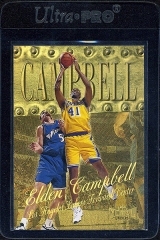 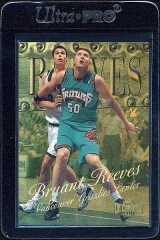 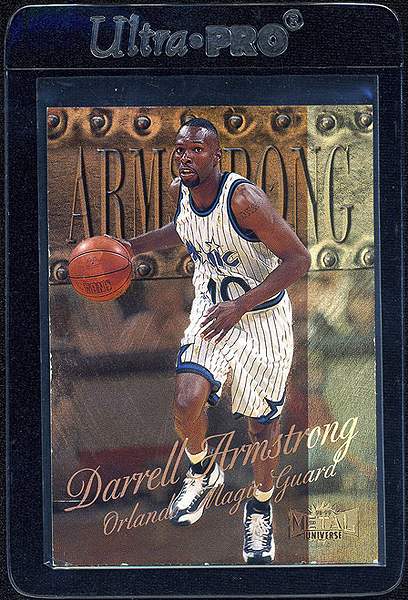 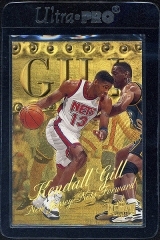 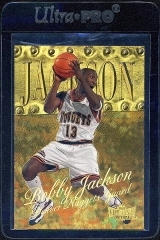 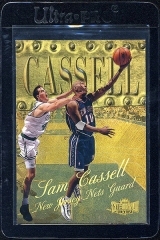 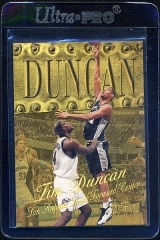 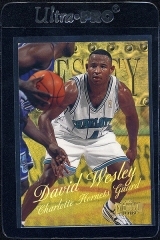 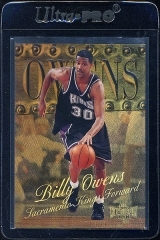 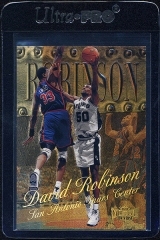 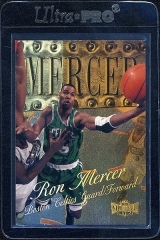 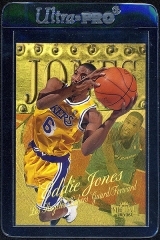 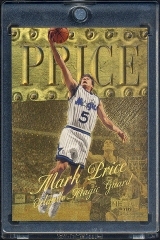 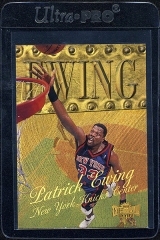 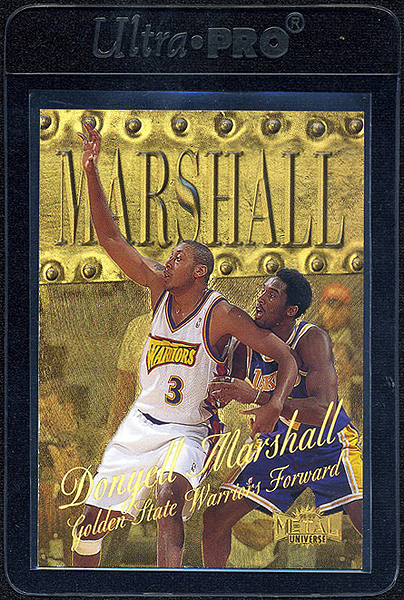 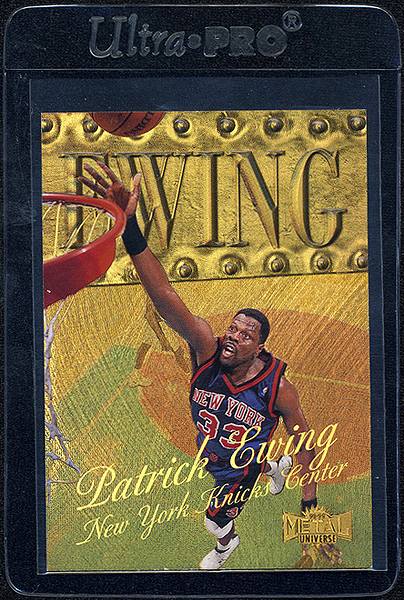 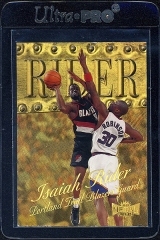 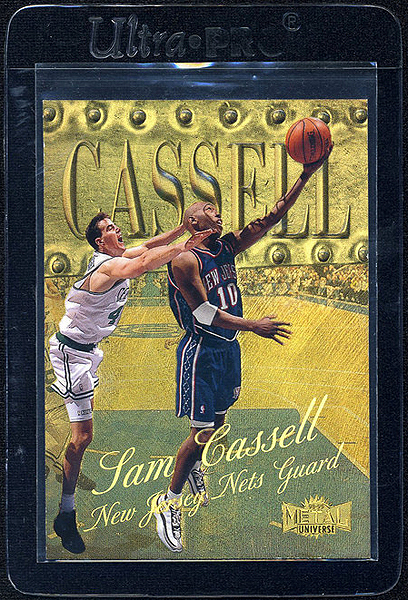 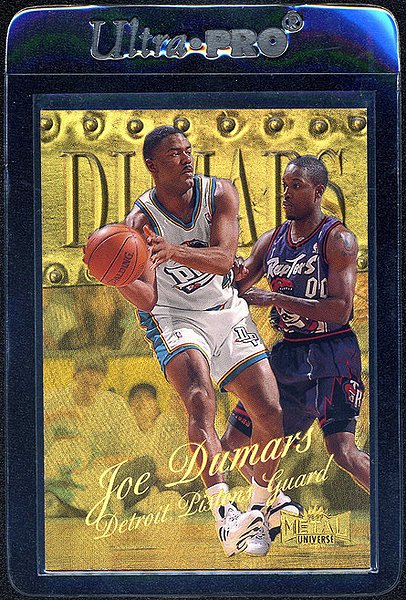 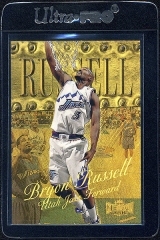 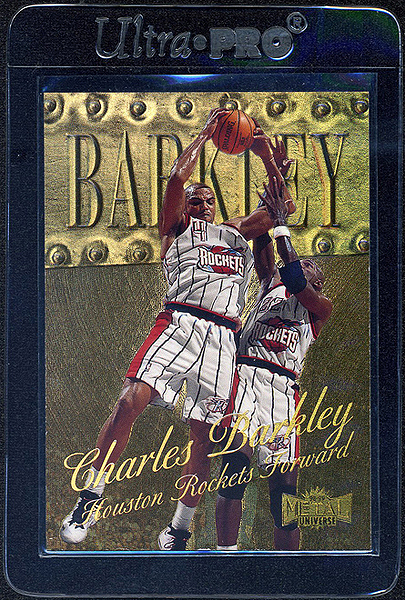 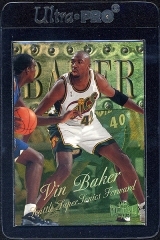 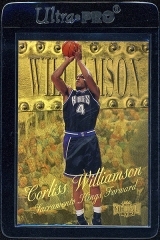 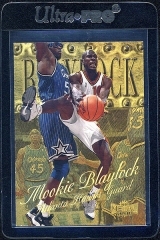 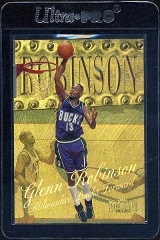 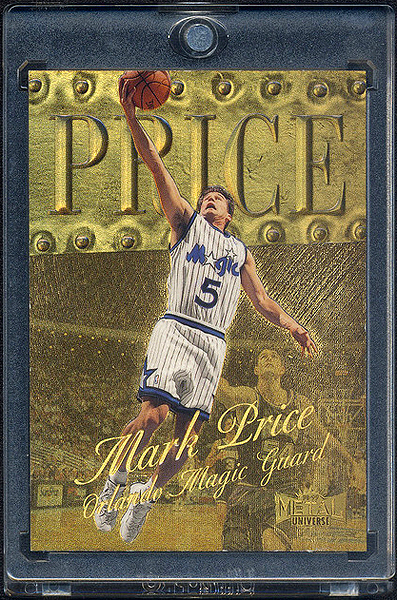 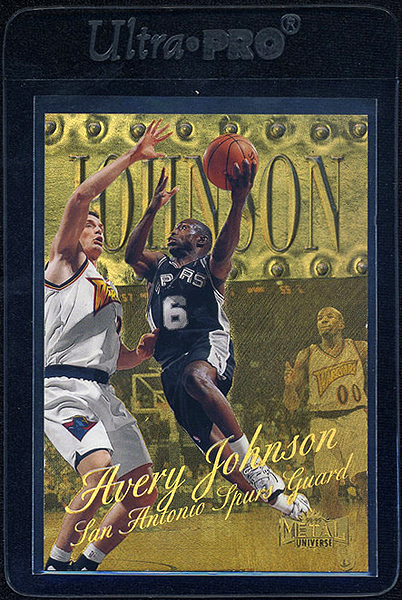 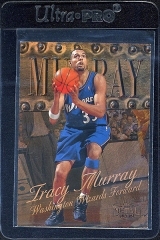 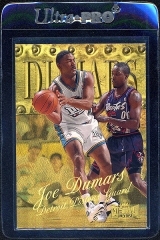 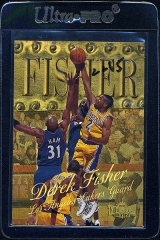 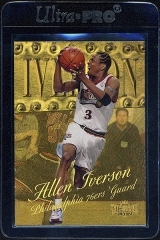 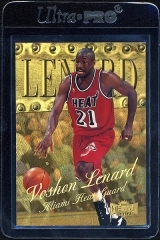 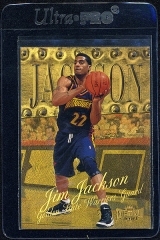 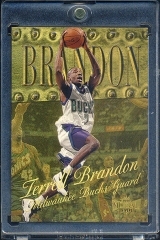 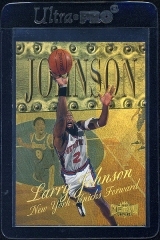 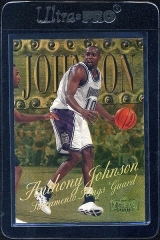 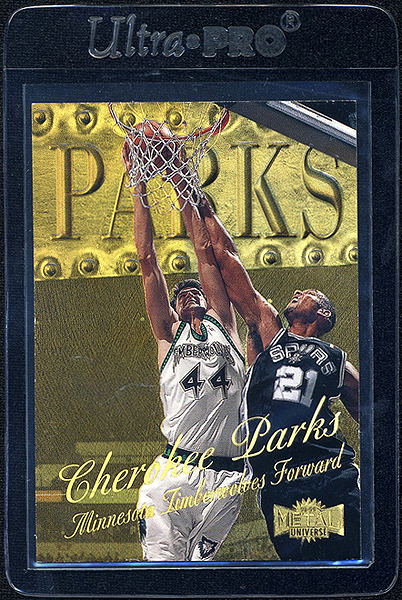 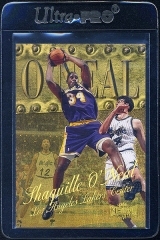 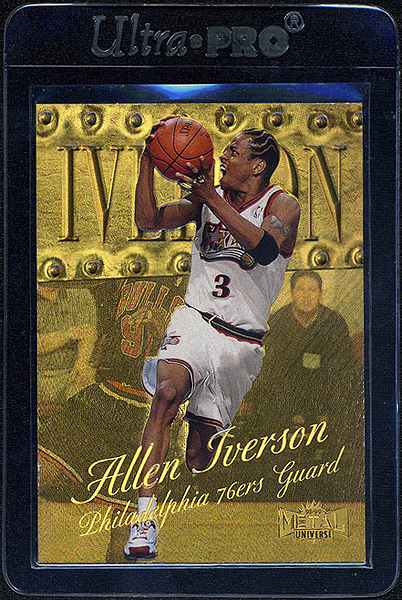 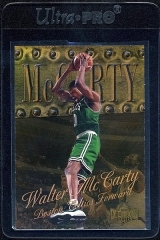 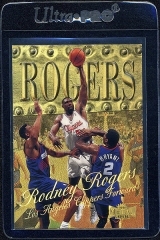 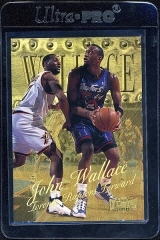 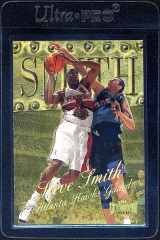 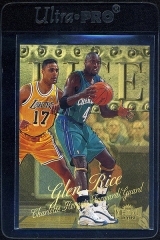 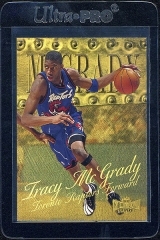 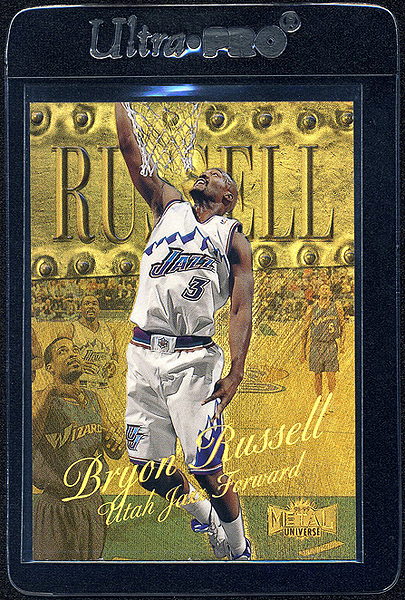 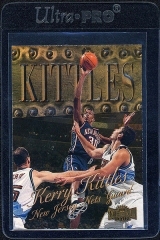 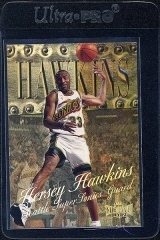 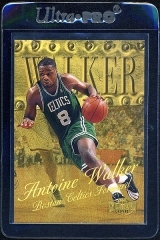 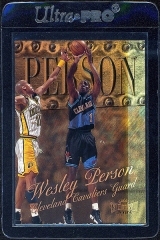 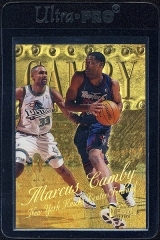 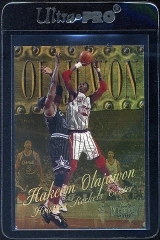 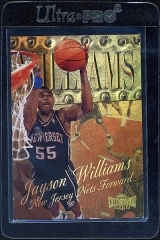 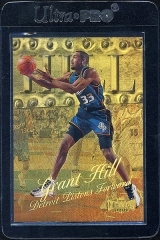 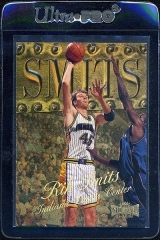 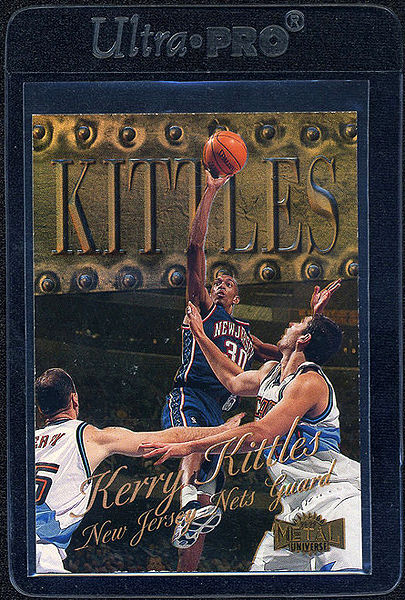 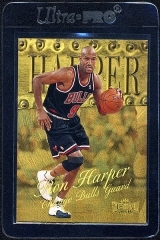 The 1998-99 Metal Universe Basketball set returns with the highly favorable Precious Metal Gems parallel set. 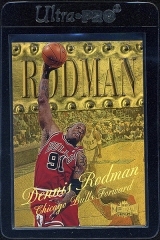 This time, just one version exists. 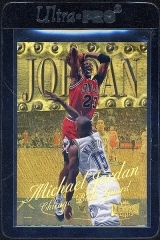 This installment features gold holo-foil and a print run of 50. The 123-card player roster is fittingly introduced by Michael Jordan and remains jam packed with top talent from the tail end of the decade. 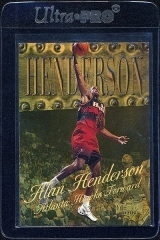 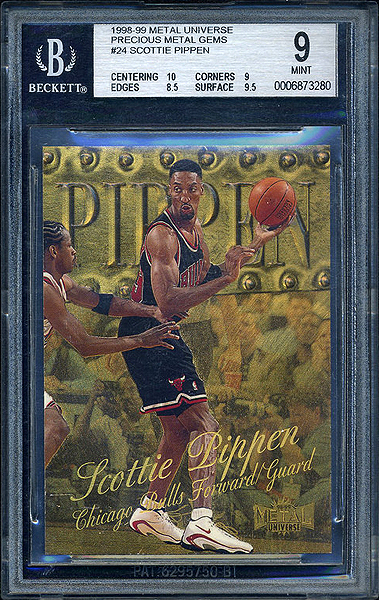 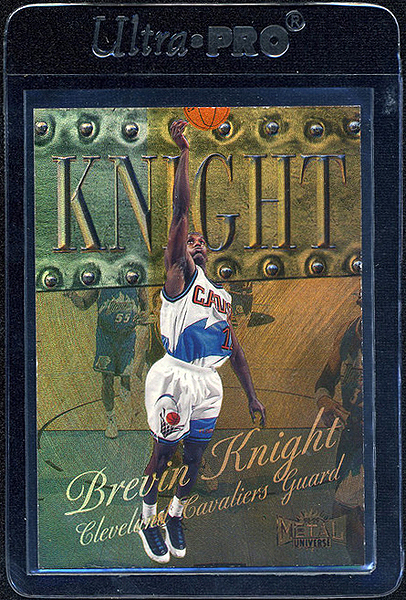 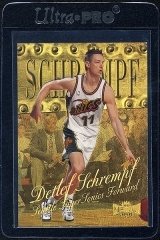 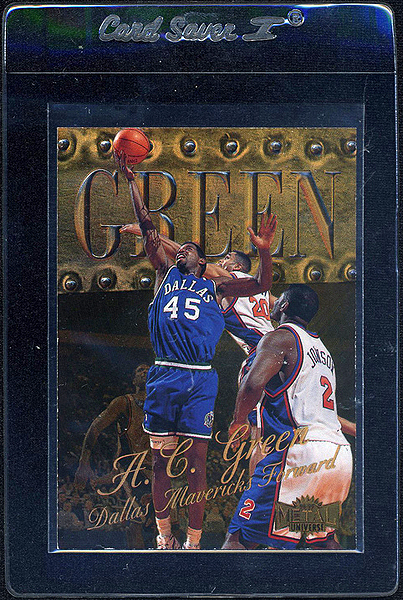 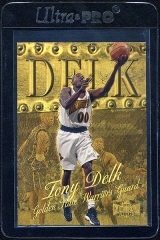 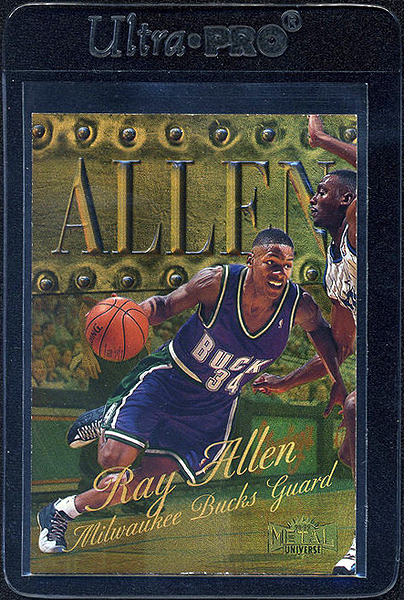 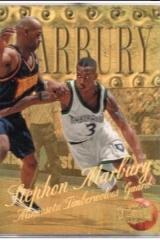 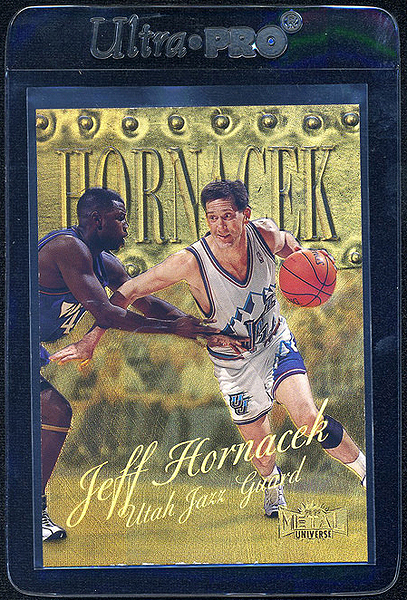 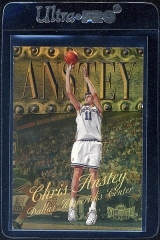 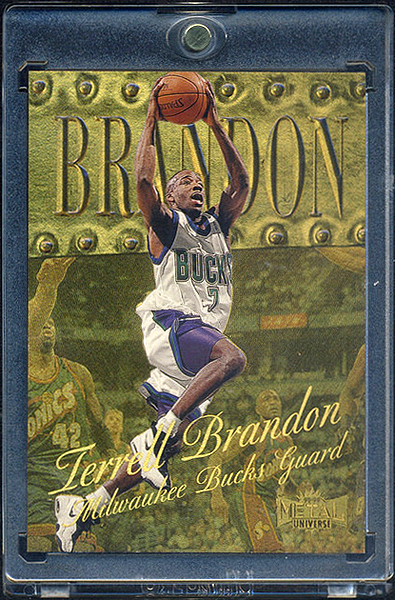 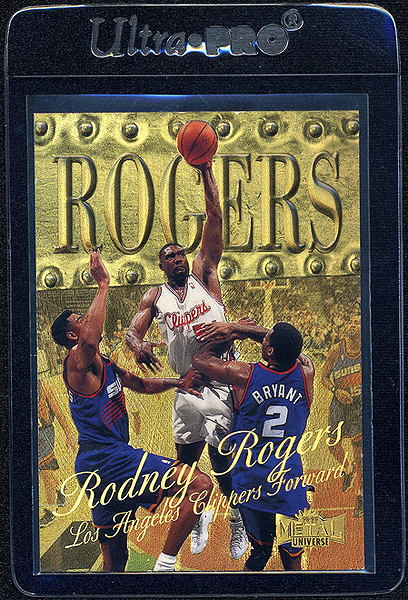 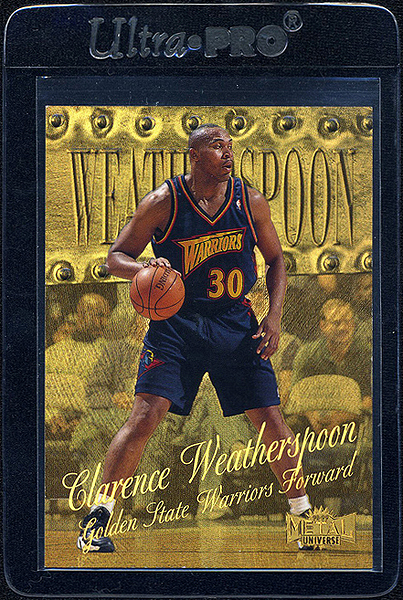 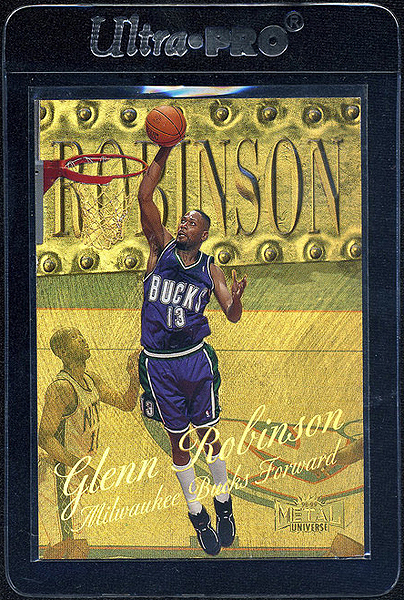 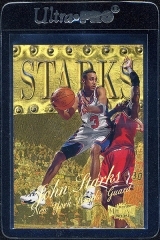 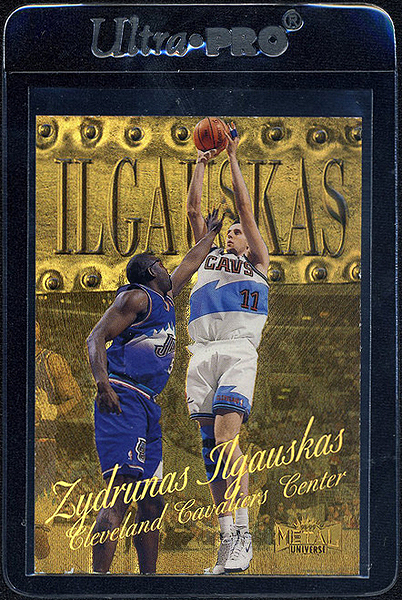 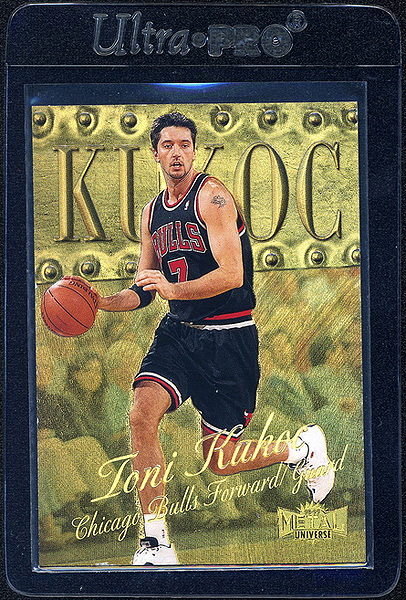 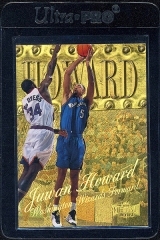 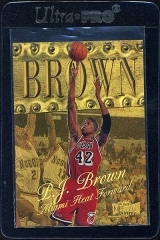 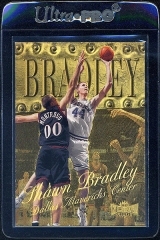 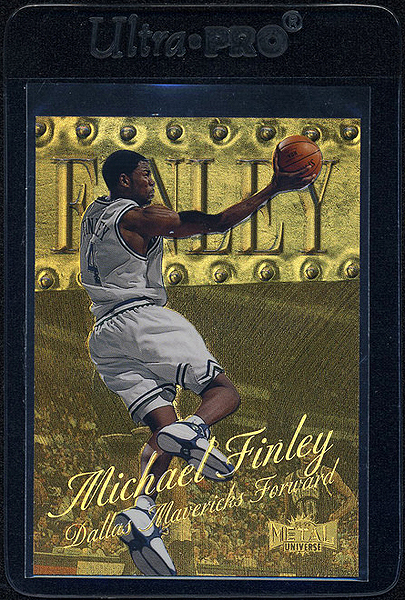 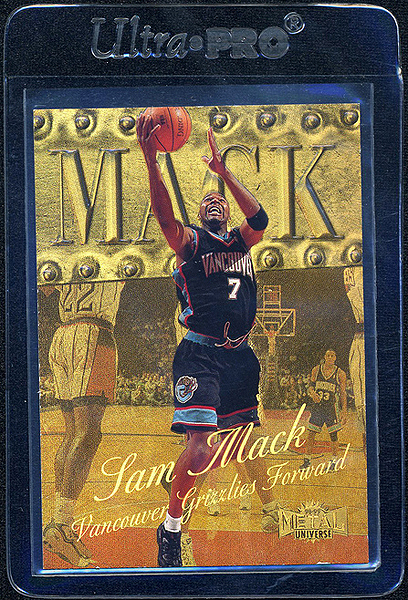 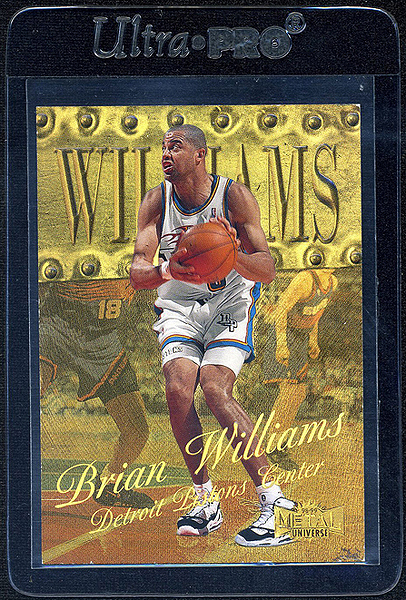 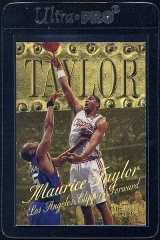 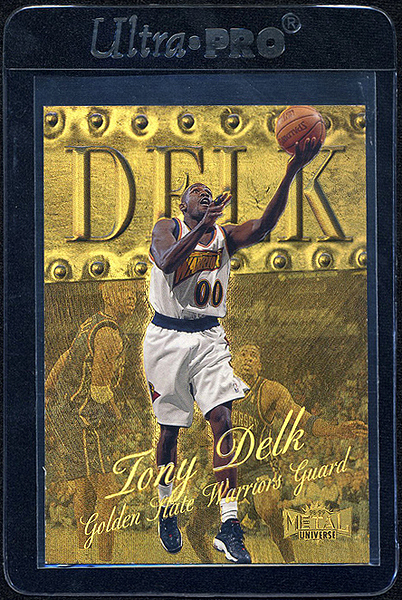 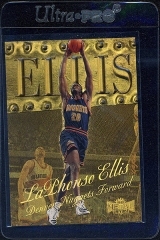 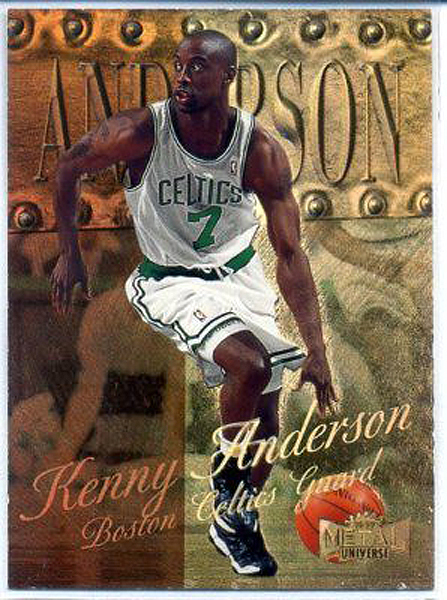 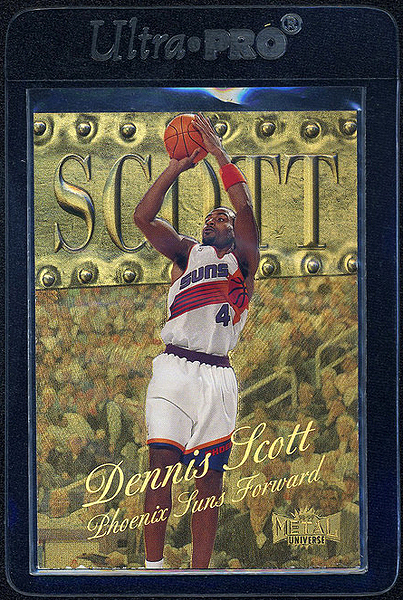 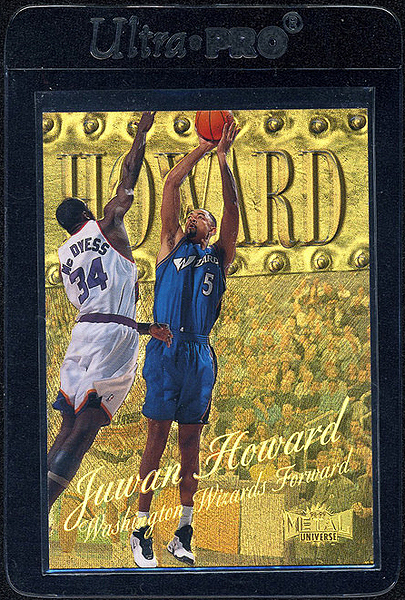 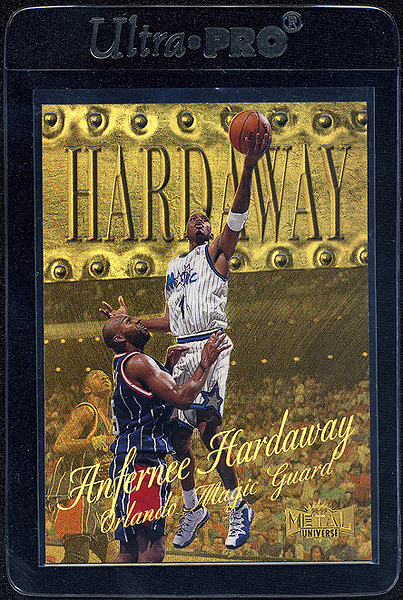 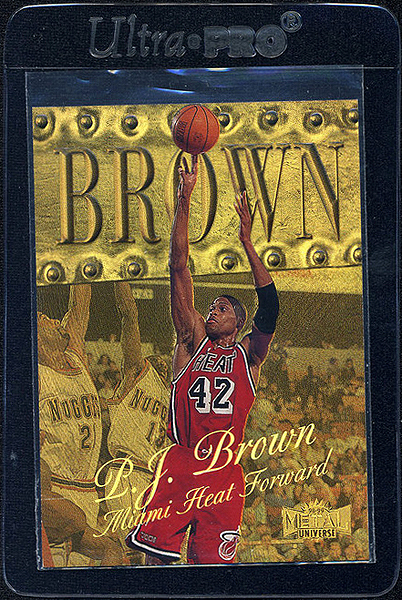 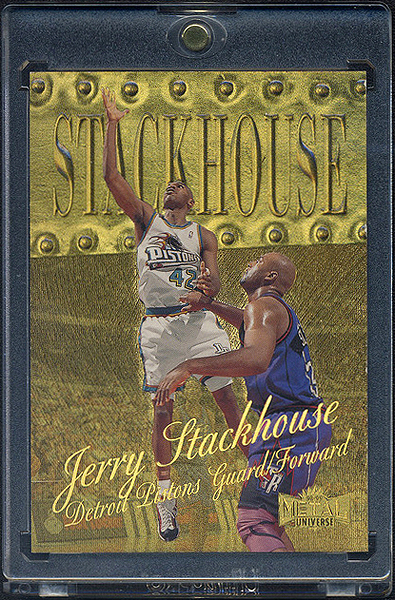 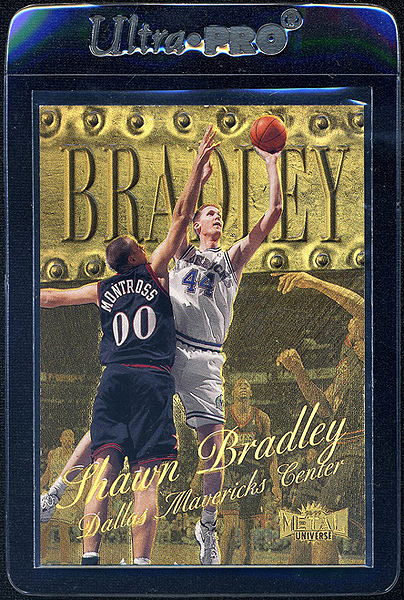 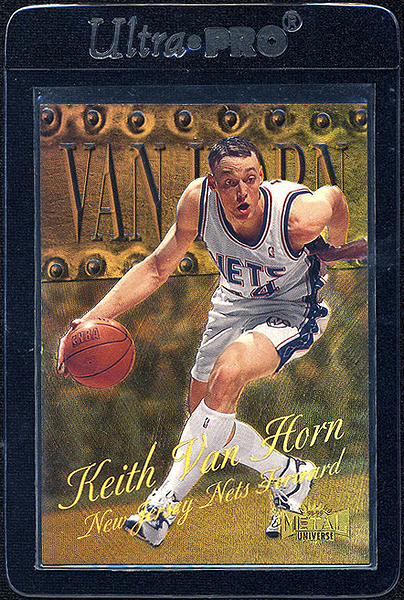 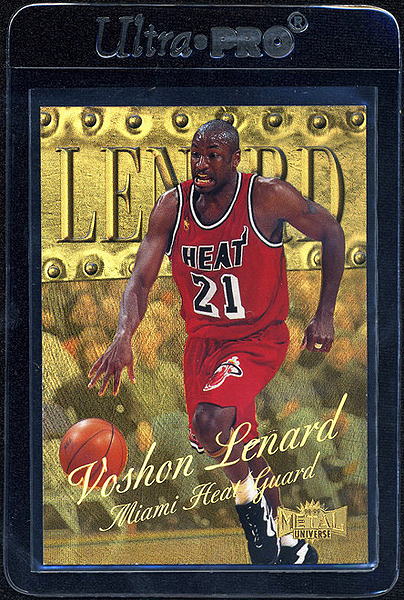 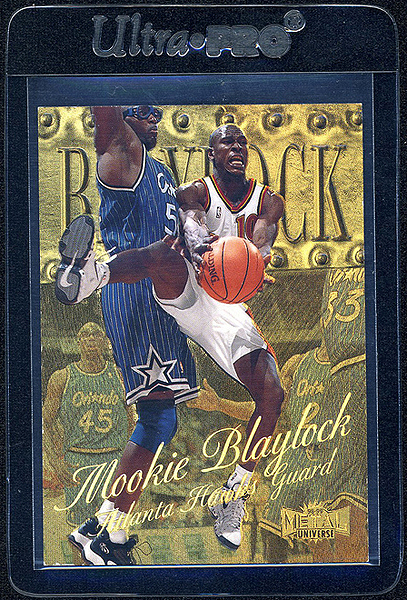 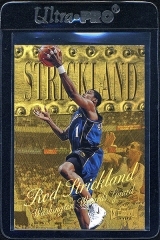 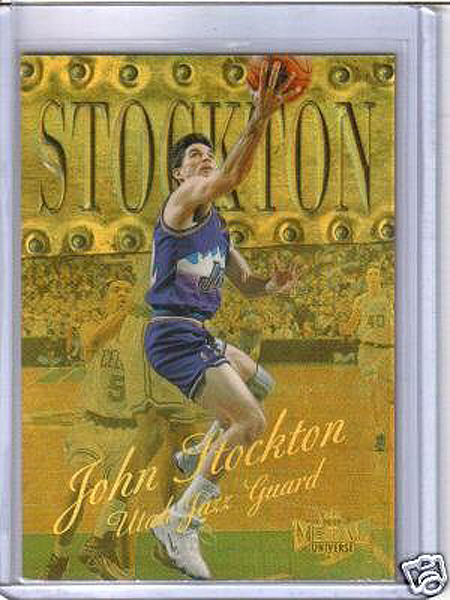 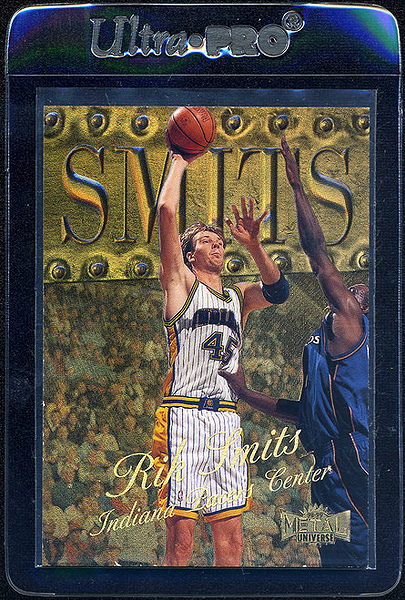 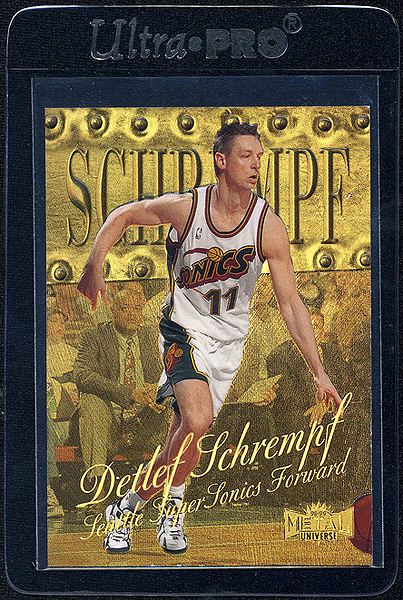 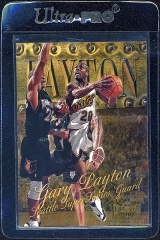 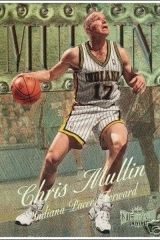 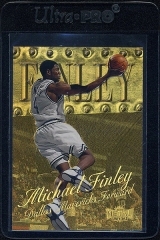 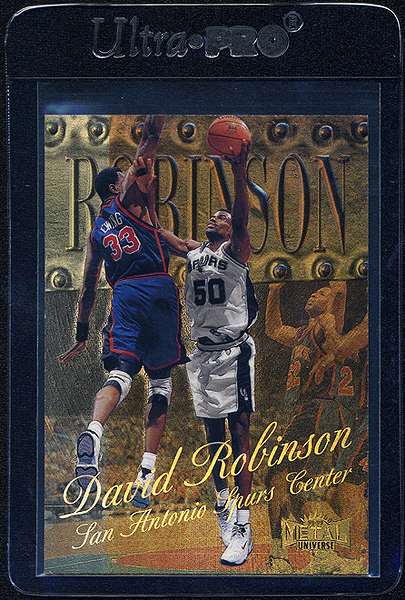 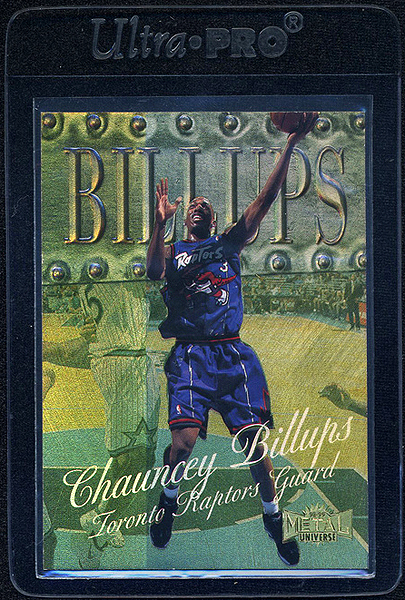 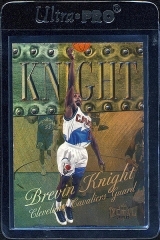 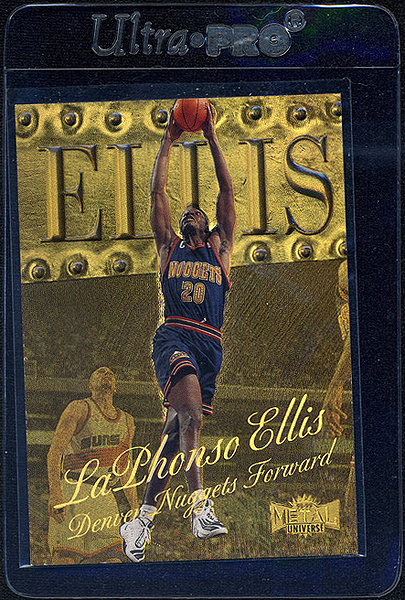 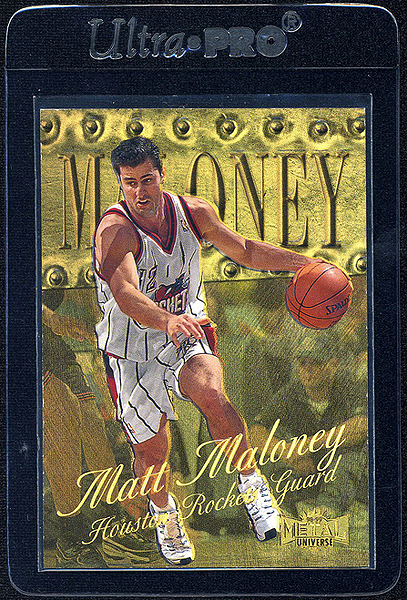 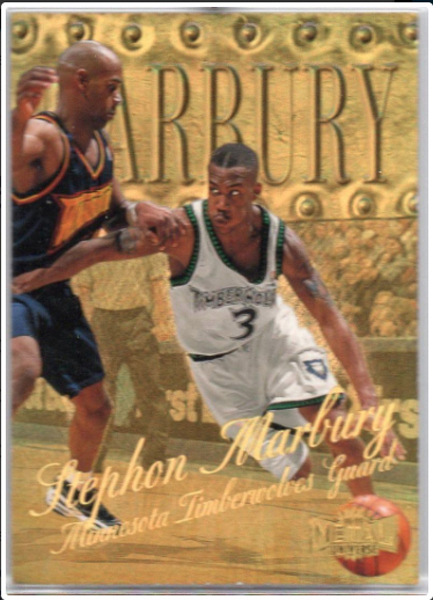 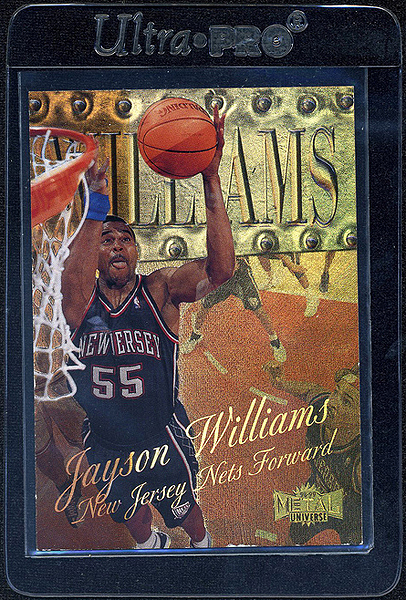 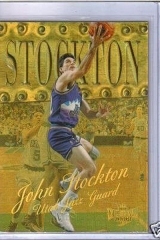 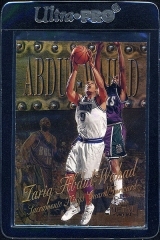 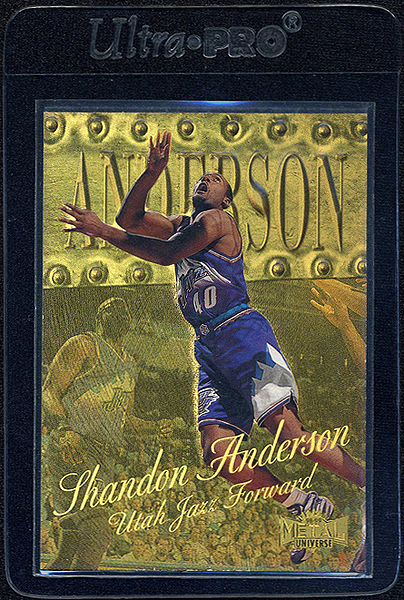 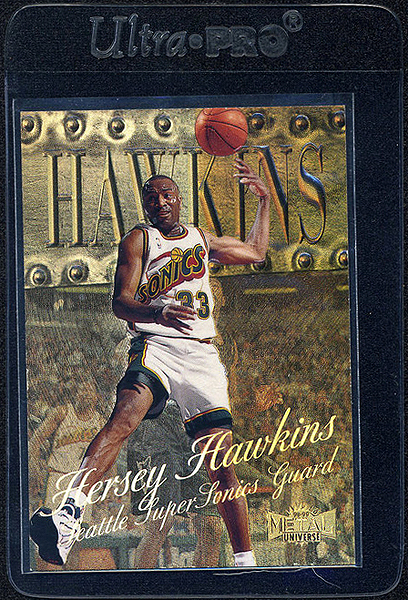 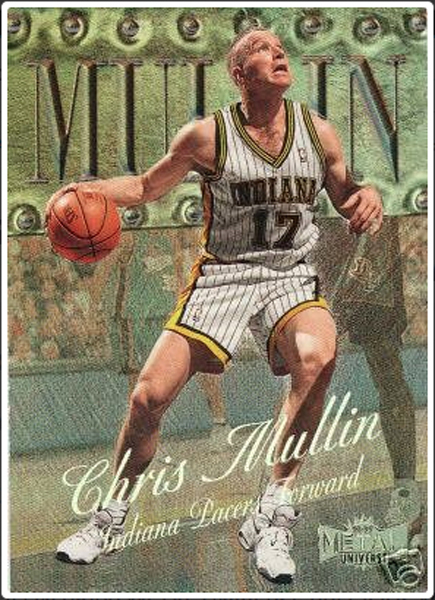 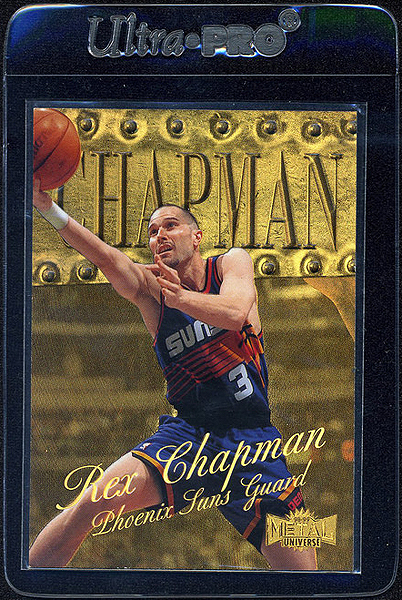 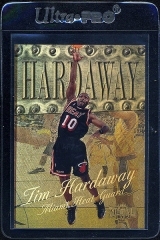 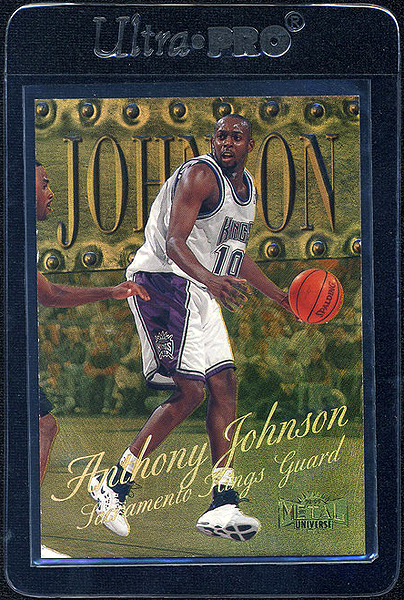 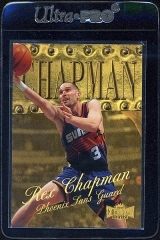 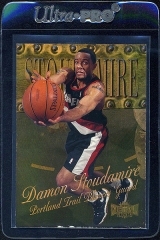 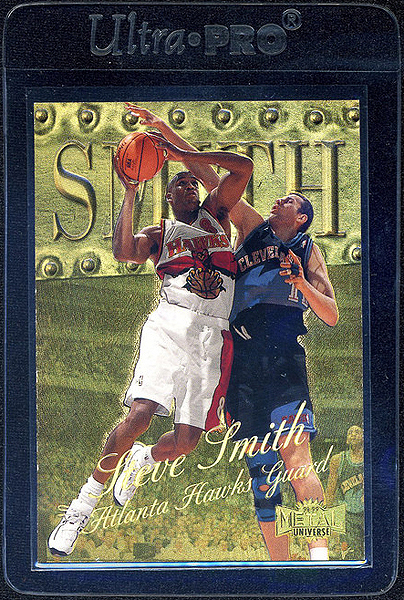 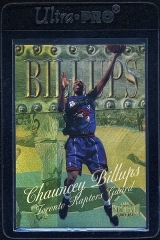 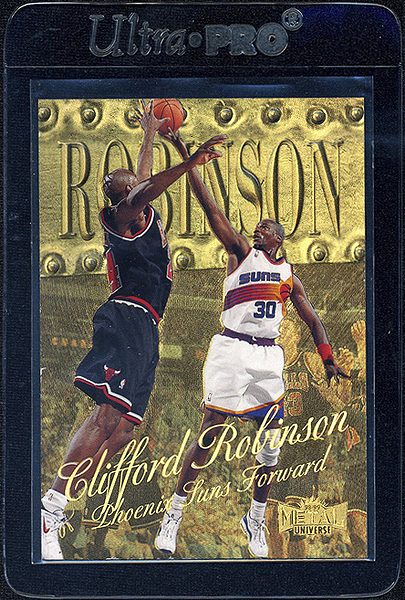 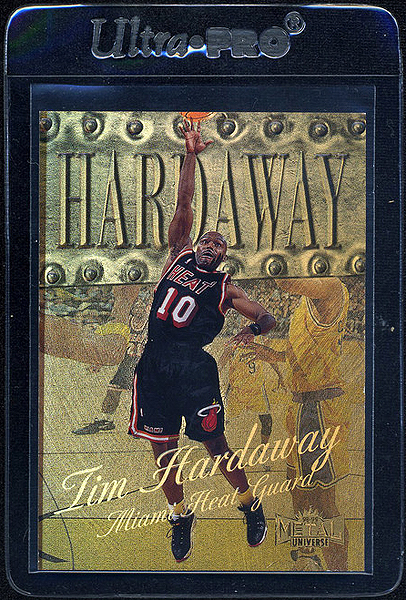 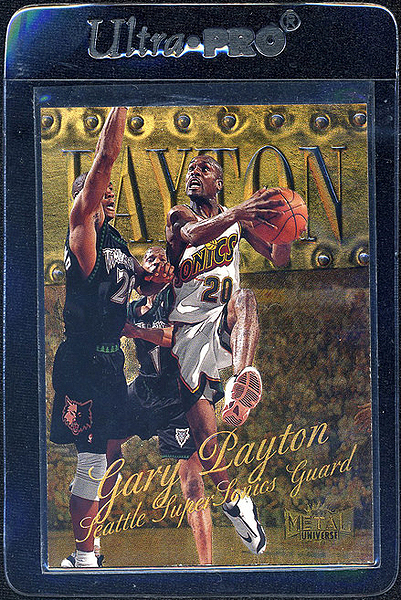 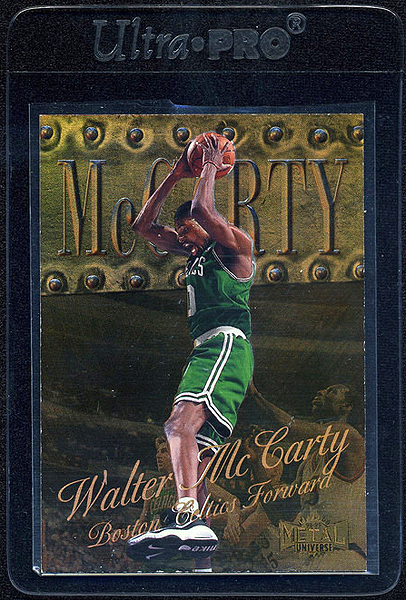 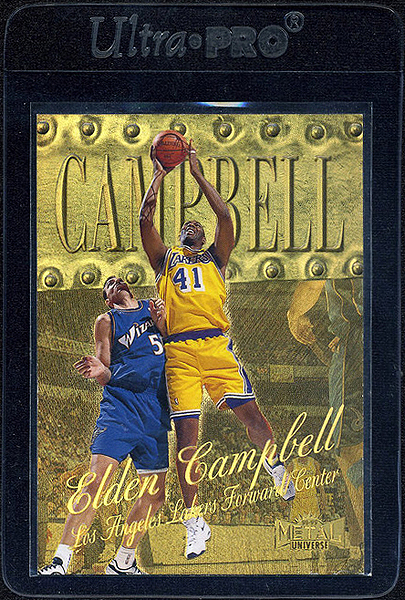 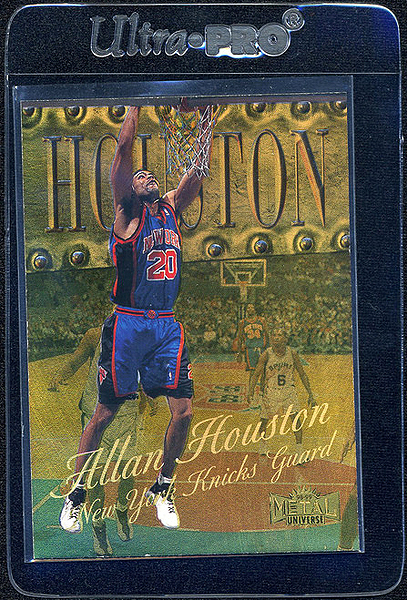 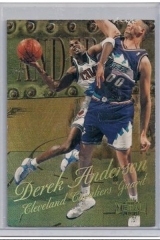 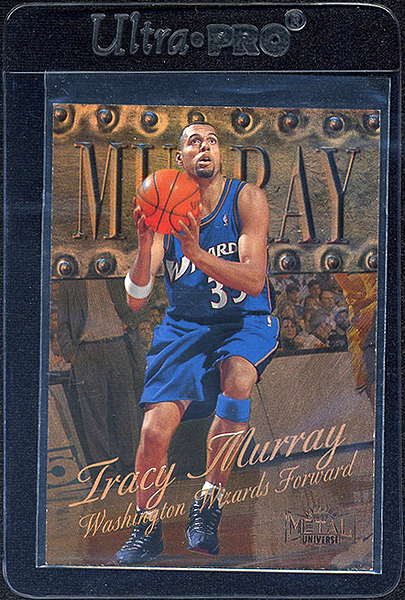 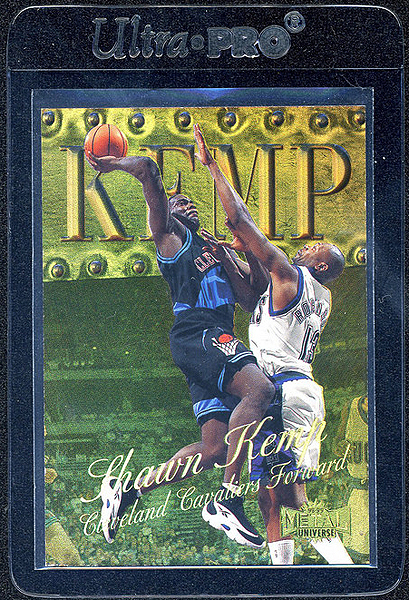 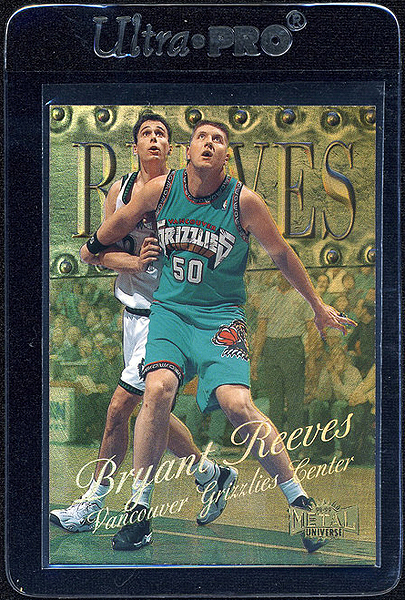 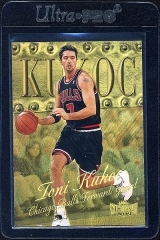 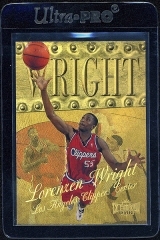 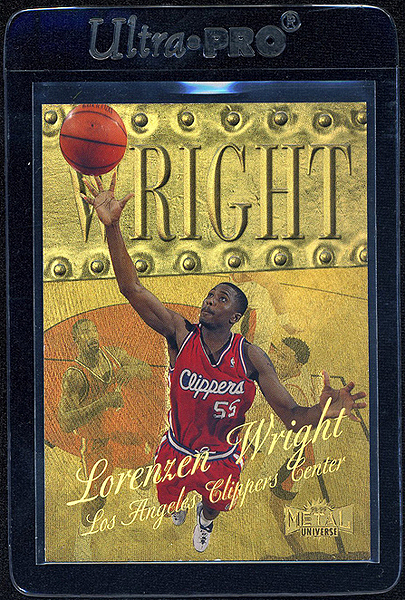 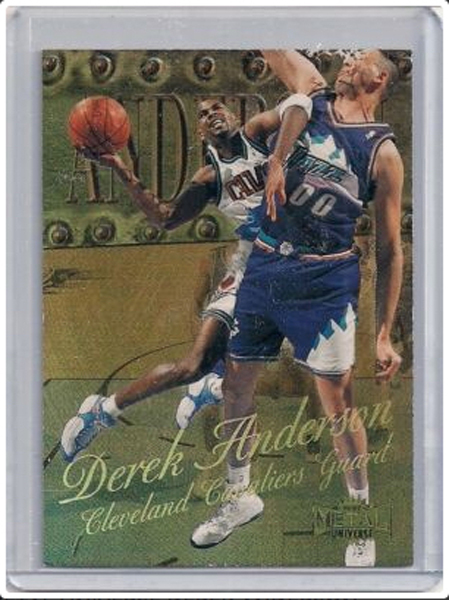 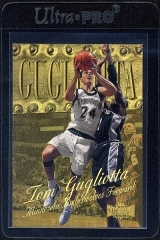 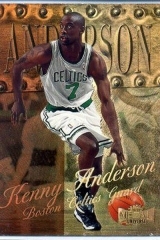 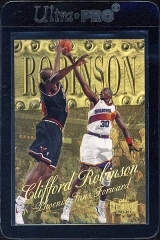 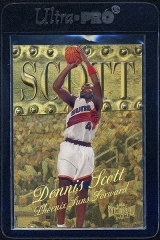 A favorite among the basketball card collecting community, this version showcases a metal inspired design with subtle embossing and great player photos. 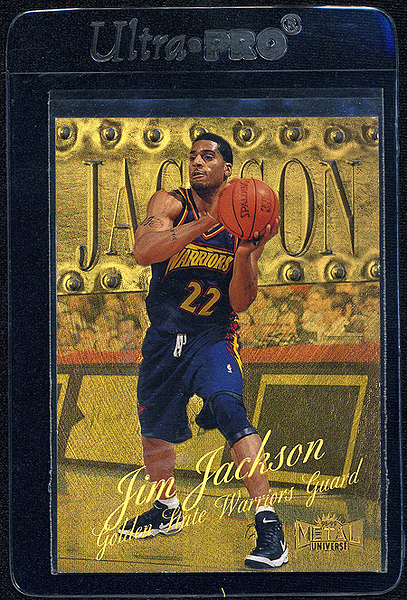 Even the base non-PMGs are excellent cards to have in the collection. 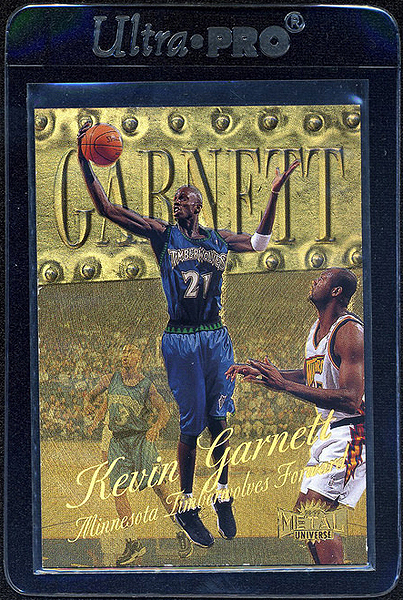 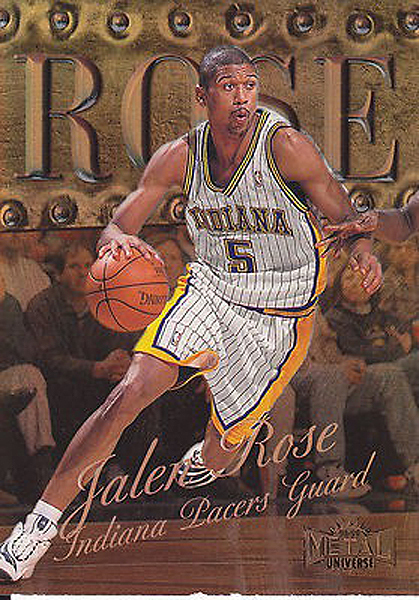 For those with deeper pockets, the 1998-99 Metal Universe Precious Metal Gems set is a force with which to be reckoned. As time passes, any PMG parallels continue to appreciate and the 1998-99 versions are no exception. Michael Jordan and Kobe Bryant drive much of the demand for this set but other court greats such as Dennis Rodman, John Stockton, and Shaquille O'Neal are also in attendance. For player collectors, these are often found on Most Wanted lists. 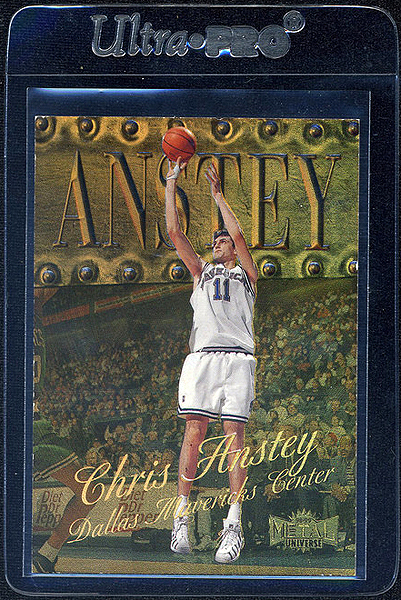 Even if availability exists, cost is often an issue. 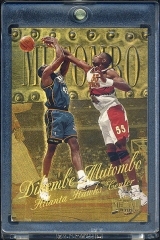 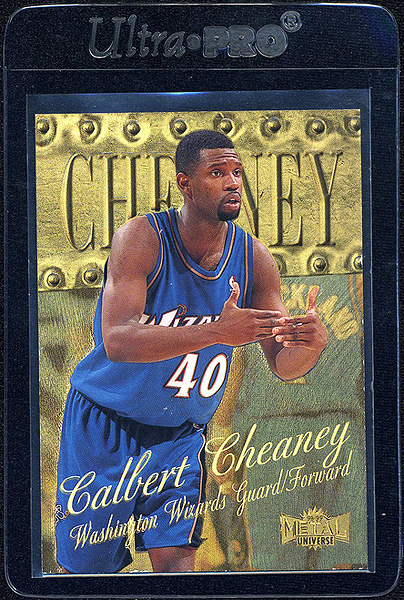 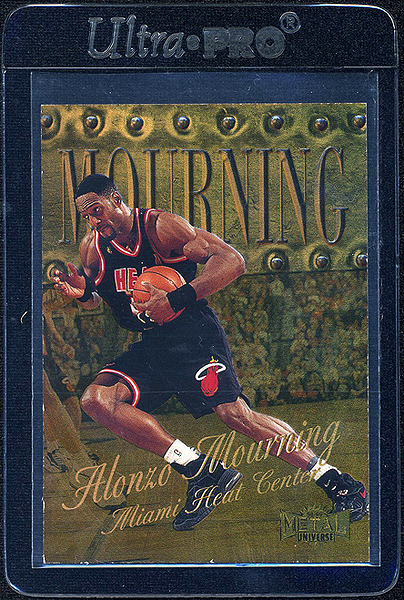 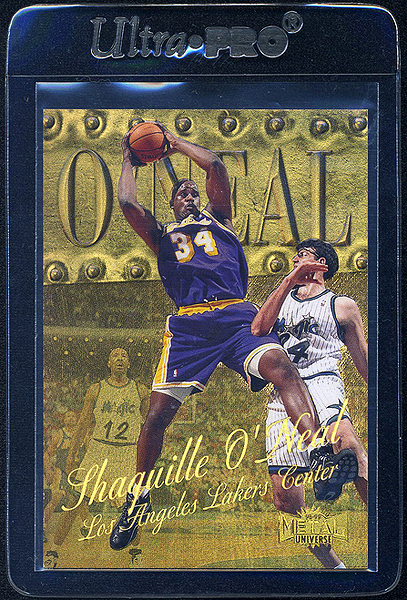 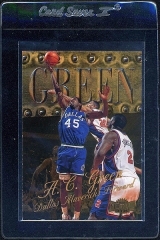 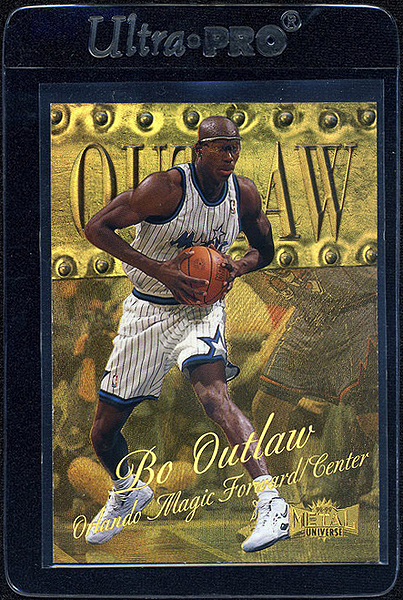 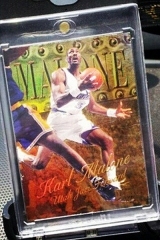 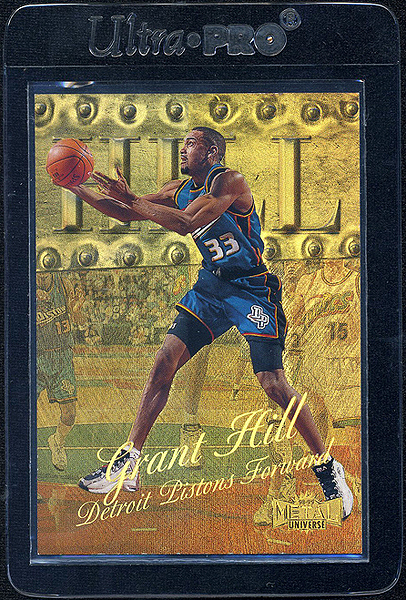 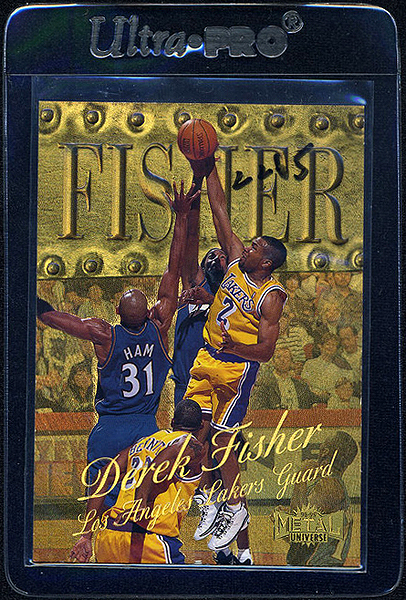 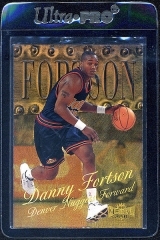 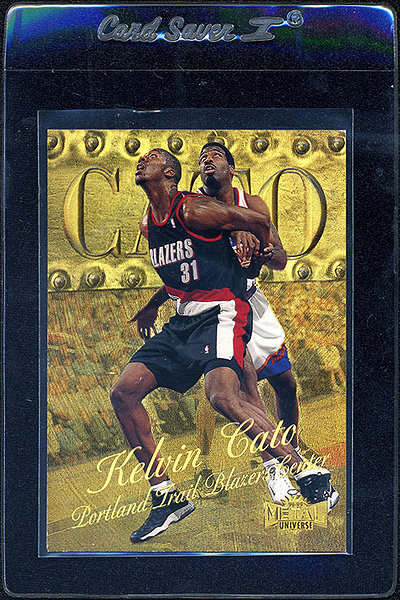 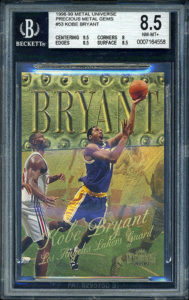 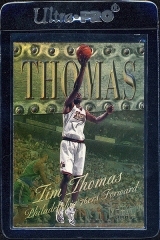 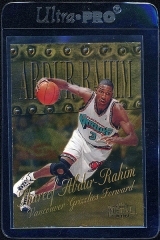 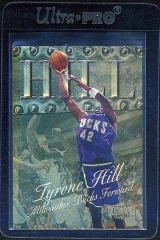 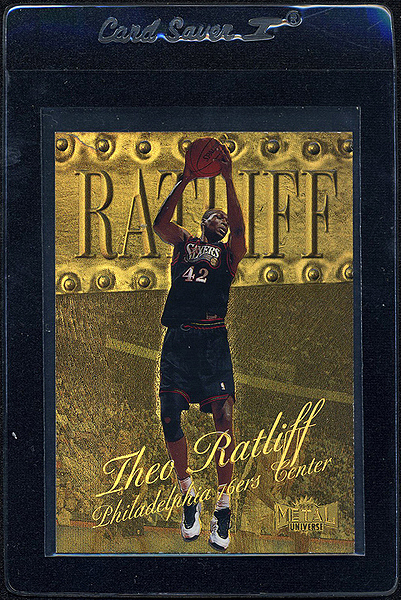 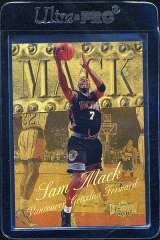 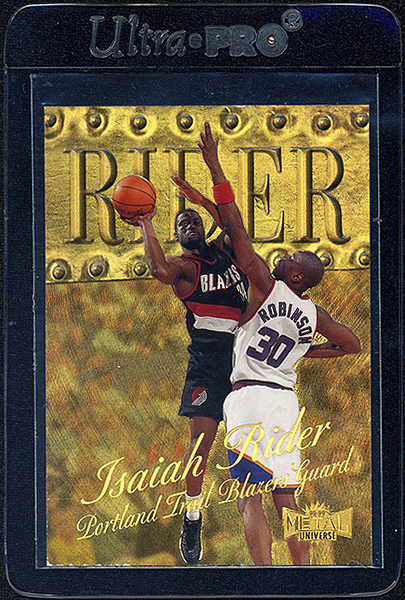 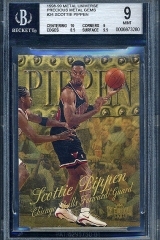 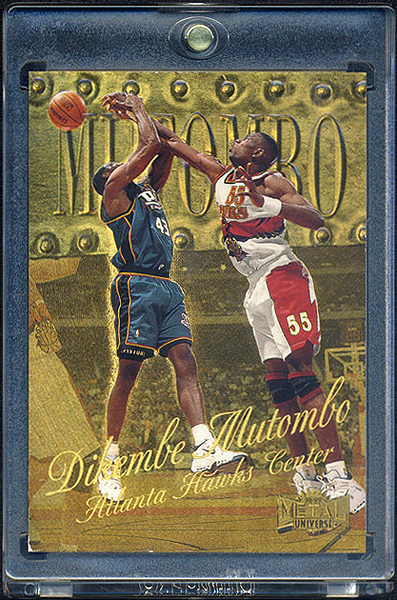 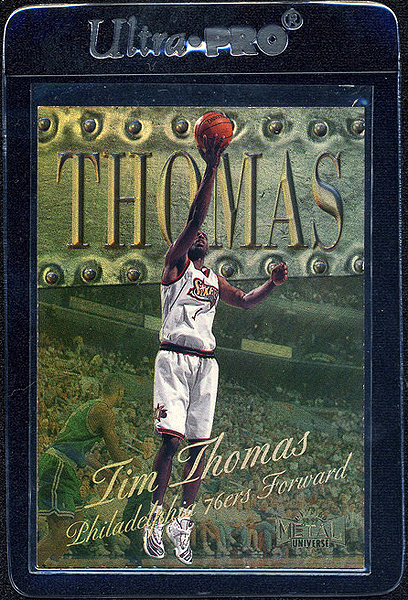 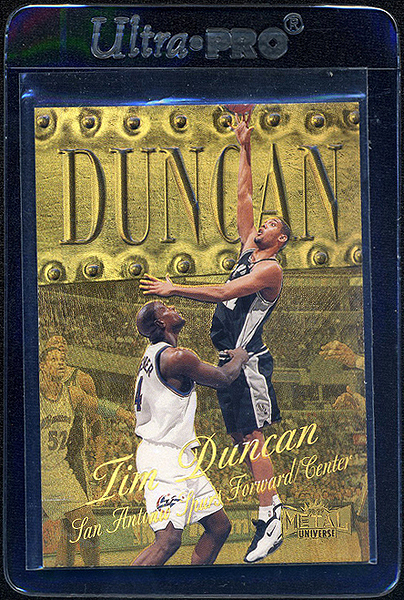 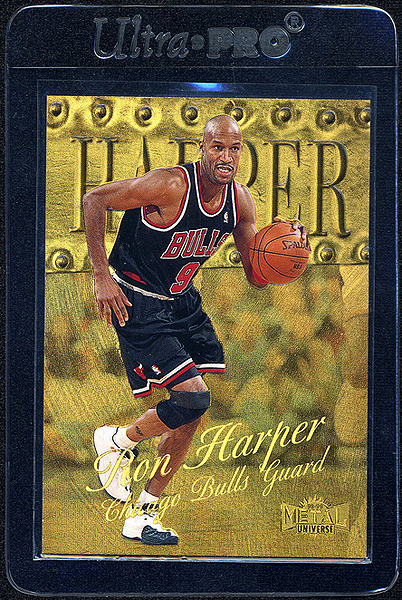 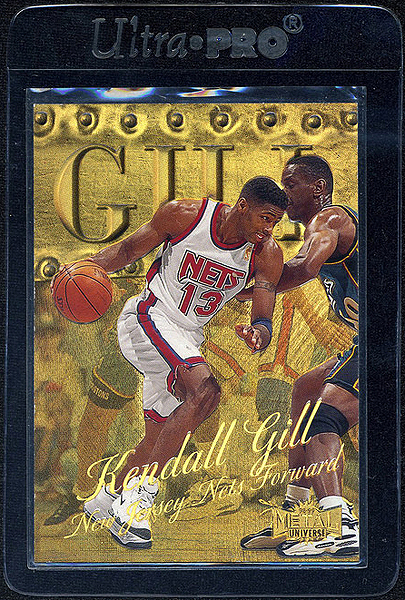 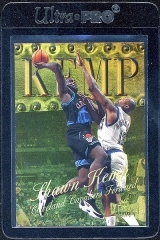 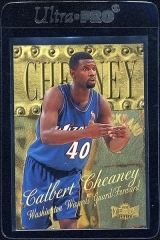 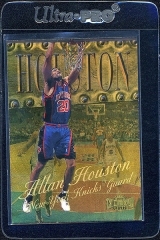 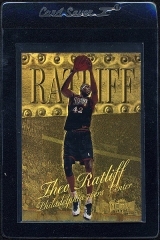 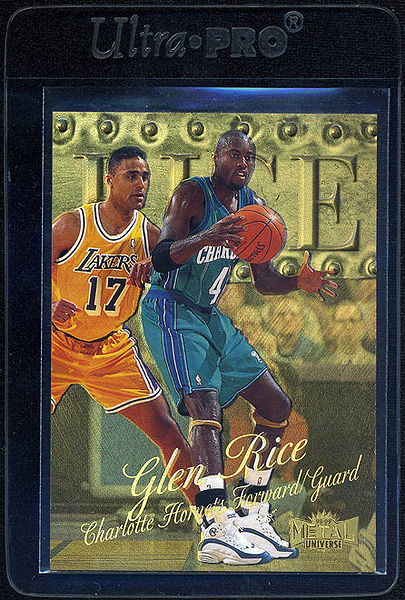 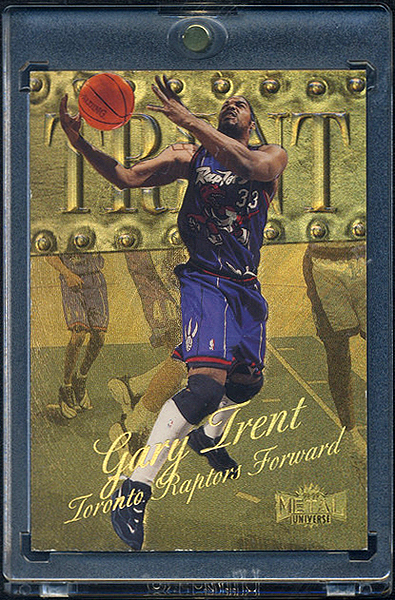 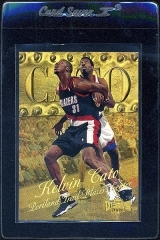 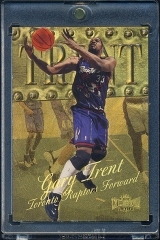 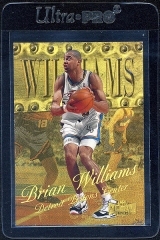 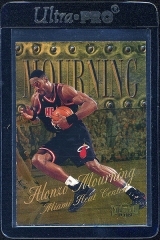 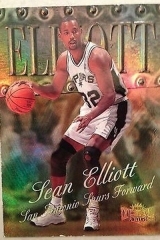 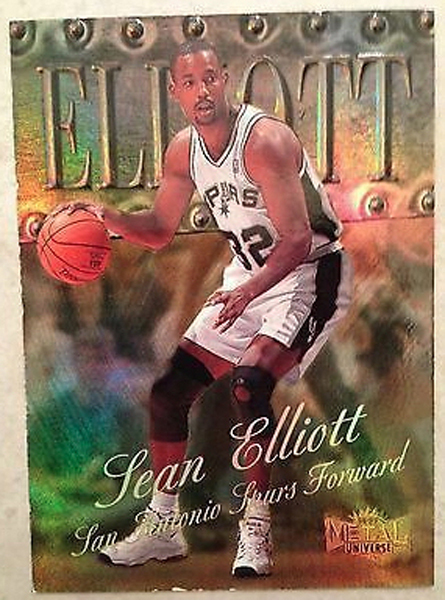 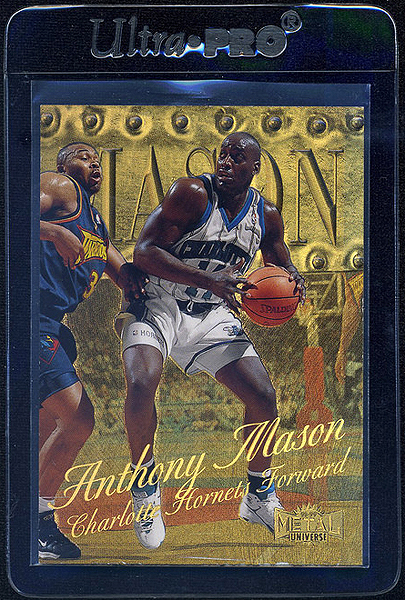 Collector, Nat Turner has given me permission to showcase his collection of 1998-99 Metal Universe Precious Metal Gems basketball cards here. 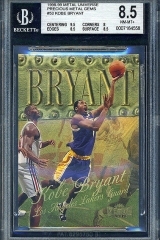 With the exception of a few images in the gallery, everything shown here belongs to Nat.